Below you can view all the homes for sale in the Providence subdivision located in Las Vegas Nevada. Listings in Providence are updated daily from data we receive from the Las Vegas multiple listing service. To learn more about any of these homes or to receive custom notifications when a new property is listed for sale in Providence, give us a call at 702-930-8014. AWESOME move-in ready home in Chestnut Hill in Providence, NO carpeting, big granite breakfast bar/island in cook's delight kitchen which has like new steel appliances, kitchen has large eat-in nook and overlooks big great room, ALL tile downstairs and MMWL upstairs....looks great, big master has a large walk-in closet along with an ELEGANT bath with sep tub and shower, rear yard is huge and includes a gym set, planter area and room for ?? ? MLS#2090254. Coldwell Banker Premier. Beautifully landscaped backyard w/ ex lrg covered patio outside w/ Rm for a dining rm table & comfortable sitting area MLS#2086738. Realty ONE Group, Inc.
Plantation shutters thru-out, renovated backyard w paver brick and pergola, tile thru-out, new paint, new carpet on 2nd floor and stairs MLS#2089349. eXp Realty. This is a Must See!!! Schedule a Tour Now!!!!! ! MLS#2088879. Century 21 Consolidated. *POPULAR FLOOR-PLAN w/OVER 2425 sq.ft ~ 4 BEDROOMS + LARGE LOFT*GORGEOUS UPGRADED GOURMET KITCHEN w/ISLAND, DBL OVENS & BRKFST BAR*FORMAL DINING*CUSTOM TILE FLOORING,2 TONE PAINT,CEILING FANS & UPGRADED FIXTURES T/O*NICE & NEWLY LANDSCAPED BACKYARD DESIGN w/COVERED PATIO & SYNTH GRASS*SEP MASTER SUITE*W/I CLOSETS @ SECONDARY BEDROOMS*UPSTAIRS LAUNDRY*BACKING TO PROVIDENCE PARK - NO REAR NEIGHBORS! MLS#2084435. RE/MAX Advantage. Automated Smart Home (through An App) Doorbell, Garage Doors, Front Door. MLS#2082525. BHHS Nevada Properties. Providence*Pardee Energy Star*Great floorplan, 4 bdrms, 2 1/2 bth, plus den/office, formal dining, formal living & greatroom open to kitchen*Kitchen features island, tile, pantry, brkfst nook, 42" cabinets w/moulding*Mstr bdrm features 13' walk-in closet plus balcony w/Mountain & Strip views*Mstr bath w/dbl sinks, separate tub & shower*Den/office w/surround sound*Ceiling fans*Laundry room w/sink*Covered patio & patio area w/synthetic grass*& more MLS#2085990. Keller Williams Realty Las Vegas. Parks, Clubhouses, Stores & Restaurants nearby, this home won’t last long! MLS#2085317. Brokers Only, LLC. Welcoming backyard with green grass for the kids and pups! Come home! MLS#2085254. Love Local Real Estate. 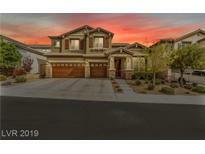 Close to shopping and Downtown Summerlin. MLS#2083902. Signature Real Estate Group. Super island kitchen with additional cabinets,granite counters, large island! MLS#2081436. Compass Realty & Management, L.
Fantastic yard w/pavers patio & artificial grass. MLS#2081099. GK Properties. This home is part of the Providence Master Homeowners Association and Highgate at Providence HOA. MLS#2077703. Opendoor Brokerage LLC. It’s located near Centennial HS, Faith Lutheran and Northwest Academy. MLS#2077427. Platinum R.E. Professionals. Providence Beauty!Practically new 2yr old single story home.Extended cov'd patio,Landscaped Yard,Fireplace,Epicurean stainless appl's w/French door ref,upgrd espresso maple cabs,(kitchen cabinets include under-cabinet lighting,tilt-drawer & soft-close)upgrd quartz kit c-tops&tile backsplash,upgd carpet at bedrooms,upgrd ceramic tile flooring inside remainder of home;GAR floor coating,upgraded interior doors,home theater prewire,window blinds MLS#2077298. Keller Williams VIP. RV/Boat parking potential, seller has plans available! NO SID/LID!! ! MLS#2076491. Horizon Realty Group. Gated security is part of the Hearthstone/Brookstone at Providence HOA. MLS#2074000. Opendoor Brokerage LLC. TURN-KEY PROVIDENCE 2 STORY w/ 3 CAR GARAGE IN DESIRABLE CHESTNUT HILL COMMUNITY*NICELY OPTIONED FEATURING A SPACIOUS OPEN FLOOR PLAN*UPGRADED GOURMET ISLAND KITCHEN OPENS TO LARGE FAMILY ROOM & DINING AREA*LARGE BACKYARD w/ COVERED PATIO*GREAT PROVIDENCE LOCATION NEAR PARKS & ELEMENTARY SCHOOL*ADDITIONAL FEATURES: UPSTAIRS LAUNDRY ROOM, SS APPLIANCES, 2-TONE PAINT, CEILING FANS, UPGRADED TILE FLOORING, 2" BLINDS, GRANITE COUNTERS & MORE! MLS#2074329. NextHome Community Real Estate. Gated security, a community park, and trails are part of the Somerset at Providence HOA. MLS#2069809. Opendoor Brokerage LLC. This home sits on a Large Lot on a Cul-De-Sac and has multiple Upgrades such as Granite Counter tops, Stainless Steel Appliances, and more! MLS#2073970. ATG Realty Group. *spacious *over $150k In Upgrades *granite Counter Tops, Cabinets&complete Dreamy Kitchen*beautiful Hardwood Flooring & Tile*cozy Fireplace*huge Bay Windows In Living Room* Indoor/Outdoor Surround Sound Wiring*hunter Douglas Blinds & Shutters* Gorgeous Master Bath*master Custom Closet*landscaped Back Yard W/Outdoor Gas Firepit&accent Lighting- Oversize 3 Car Attached Garage Too Many To Mention . Must See! MLS#2071960. AM Realty. Fully landscaped front & back w/ paverstones, H2O softener&purifier MLS#2070450. Platinum R.E. Professionals. Former Model 2 Story Home W/ Spacious Living Floor Plan * Settled In A Corner Lot *located In The Heart Of A Highly Desirable Community Of Providence* *extensive Upgrades That Features Custom Finishes* Open Loft W/ Balcony * Quality Wood Flooring* Luxury Pattern Carpet * Gourmet Kitchen* Magnificent Family Room *dining Room W/ Butler Station *downstairs Master Suite* Close To Shopping, Parks, Fwy, Schools* Must See This Exquisite Home Today! MLS#2068199. HomeSmart Encore. This One Won'T Last Long. MLS#2068098. Trade Wind Investments. Gated security is part of the Hearthstone / Brookstone at Providence HOA. MLS#2065283. Opendoor Brokerage LLC.